After all these years blogging about paint colors and sharing color palettes, I have never done a palette of my favorite whites. Today I’m teaming up with paint contributor Jenny from Evolution of Style to share our tips and tricks for how to choose the perfect white paint color. I have always been hesitant to talk about whites because I personally think they are the trickiest of of all colors to choose. The subtle undertones that are really hard to see and those sly hues that pop out after you’ve painted a whole room, trim or a set of cabinets, makes this color challenging to nail down. I think white makes everyone nervous! These online pages are the greatest of resources when you are looking for a white with a certain undertone but as you look at these colors all at one time like this, you can see just how dangerous whites can be! Look at all those whites with strong pink and peach undertones (yikes!).. 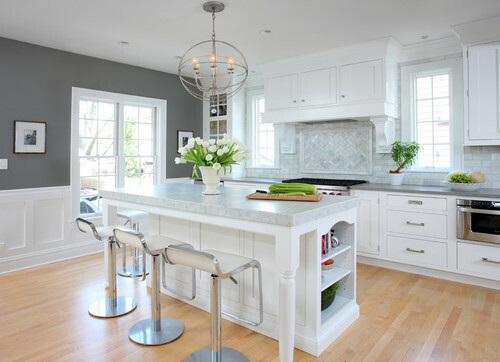 If you’re not careful, you can unknowingly choose a white with a strong undertone that you won’t see until you get it up on a wall or worse, when you paint all your kitchen cabinets in that color! Notice how this white still looks white in these bad lighting conditions. If you have an undertone of subtle yellow, this space would look cream at night instead of white. Or worse, pink subtle undertones would look peachy at night. Jenny has an awesome trick for finding just the right color of white for kitchen cabinets. She looks at custom cabinets for inspiration at design centers. Most of the time, you can pick up a small sample of the cabinet color and she has the white samples color matched! 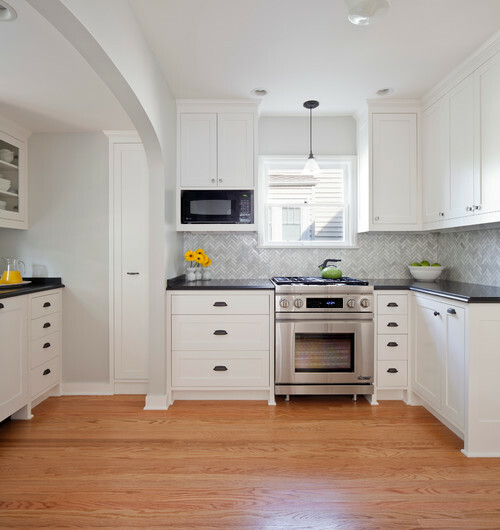 Sherwin Williams has one of the best color match systems and this is a fantastic way to find a white that you love for possible kitchen cabinet colors. Last but not least, it’s so important to paint a sample board of your prospective white color! The bigger, the better and consider painting a poster board and keep your eye on it throughout the day and especially in the evening when you turn on your lights! Jenny and I hope that today’s post will really save you guys so much time (and agony) as you look for your perfect whites. My hubby always used to say, “white is white, why is the choice so difficult?! !” LOL Men. Isn’t that funny? When you look at these whites all together online, it really shows how dangerous whites can be! I’ve been there before with a peach white and nothing is worse than seeing your pretty white trim look peach at night! Ugh! Thanks for stopping by Lauren! I love that you brought up how some colors can look so different and bad at night. This is what I struggle with the most in my house. With our open floor plan the majority of the house is one color Gobi dessert by berh. In daylight I can tolerate it at night I loathe it. As soon as I can confidently find a replacement that works in all lighting conditions I will begin the tedious task of repainting. Love your tips. Please keep them coming! Thanks so much Paula! Yes! I bring up the night factor because I have been there myself with whites! It too drives me crazy when a white looks bad at night or on dark days. Now I know how to fix it and stay away from those sly undertones. I hope this post will help you zone right in on your perfect white! Thanks for your note Paula! Thank goodness you’re such a paint geek! Those Sherwin William whites don’t look white AT ALL on the palette board. Thanks for (yet again) a great post! Ha! Yep, I’m hoping my crazy strange paint obsession can help you guys! Yes, its pretty scary when you see all those whites together, especially with the SW board where there are NO true whites with minimal undertones. Yikes! Thanks for your note Laura! Great tip on the page shots for BM and SW. It’s really hard to see the undertones on a small chip – but when you see them in comparison to the other whites the undertones jump off the page! 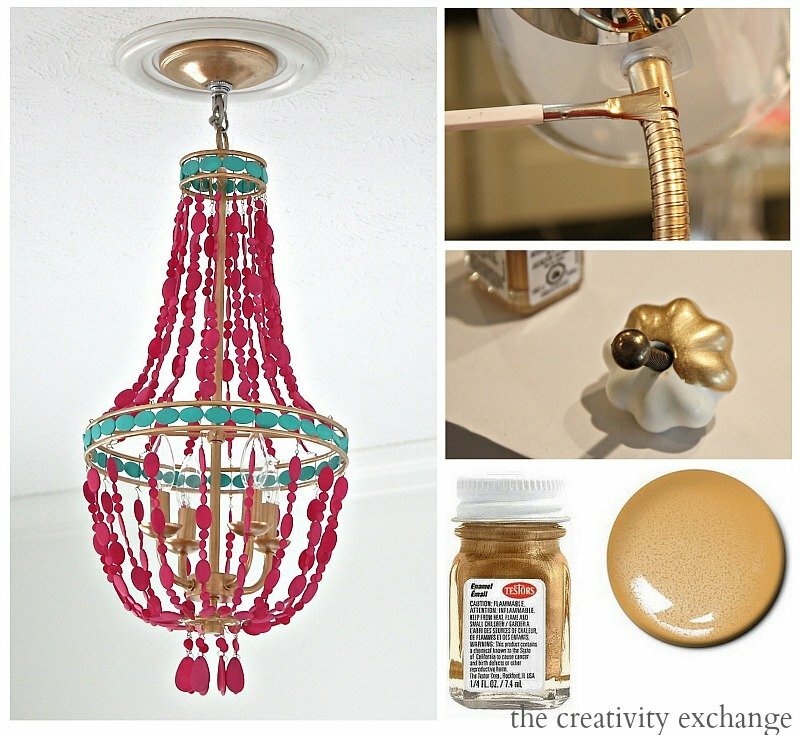 M.
I absolutely love these Paint It Monday posts Cyndy! White IS so tricky and the tip to look at them online is really interesting – you are right – it’s much easier to see their undertones on a chart like Ben Moore’s. I like all your fave whites, especially Atrium White and Decorator’s White, and I have one to add to the collection: BM China White. It has a bit of a warm grayish tint to it and makes a great wall color if you want an all white space, but want the trim to pop. I just used it on the walls of two houses, both with with White Dove trim. So pretty. Sometimes I feel like whites can be even more overwhelming than colors! I love this! I recently painted our master bath with Decorators White and found it was the best match to the basic white square tile that most builders use in bathrooms! Wow, such awesome advice! I am so glad to learn the tip of looking at whites on-line to compare undertones. My walls are BM Linen White and I’ve been struggling to find a trim color that doesn’t clash. 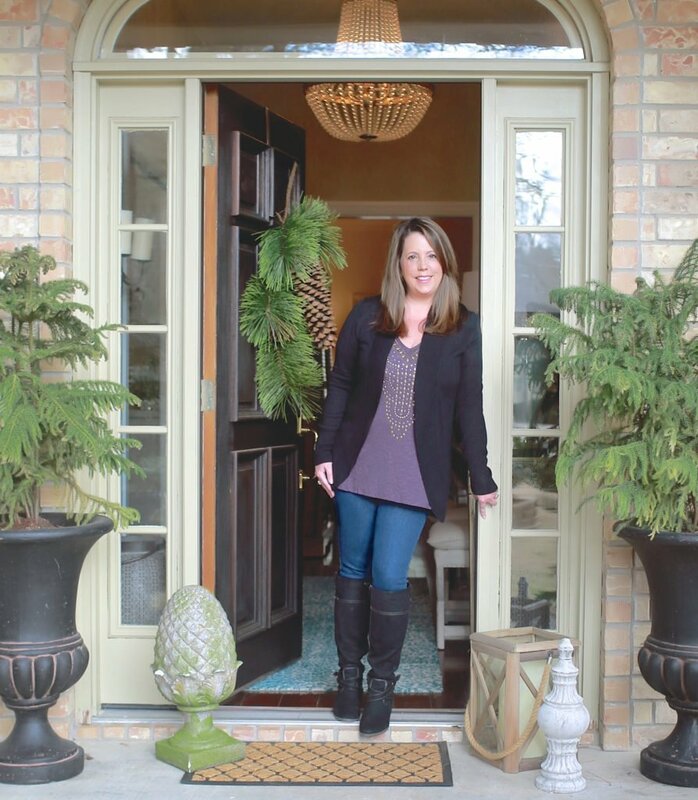 Thank you SO MUCH for your many great posts on paint colors and decorating! I am not a visual person and am finally able to look at your photos and tell a decorator “I like these colors” etc.! 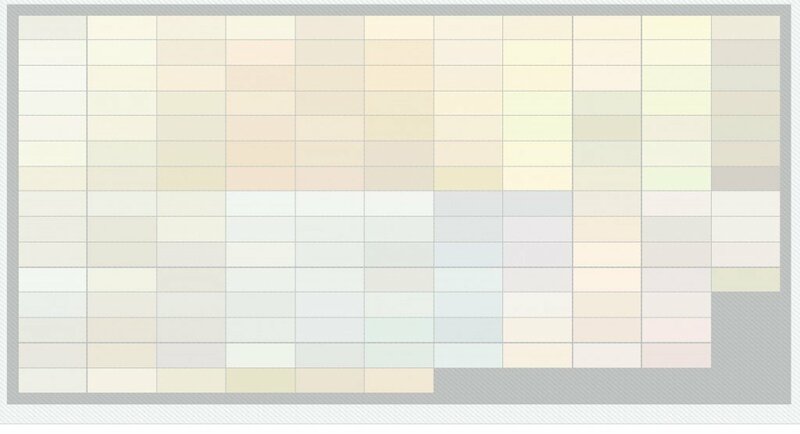 One thing I would like to see is when you post paint colors, it would help to have the paint colors for the walls and the trim. As I look at some of the pages, I can’t tell if the color mentioned is for the walls or the trim and when I love the combination, I don’t know what the ‘other’ color is. Would love to copy both colors of many of these rooms:). Thanks again!!! You are awesome! Thank goodness I found this post. I can’t thank you enough. This has confirmed the fact that I am not crazey! Lol. I am a creative type that is hyper sensitive to colour. I will soon be painting my cabinets white to blend with my white appliances (which I love). Not an easy task. B.M.’s Decorator’s White is a near perfect match but makes me a little worried regarding how cold it is.I would love something warmer like B.M.’s Dove White, but can’t stomach how badly it clashes with the appliance white. I was thinking of B.M.’s Oxford white or B.M.’s Frostine. I am leaning toward the latter. If you don’t mind my asking; which would you choose. I would be eternally greatfull for a response. 🙂 Respectfully, Brenda. I recently painted the inside of my house Decorators White and I hate it!! Does anyone have ideas for trim colors that might save this? Do you have a white paint suggestion for exterior trim? We are building a modern farmhouse that will be done in Benjamin Moore Polo Blue. I picked up Benjamin Moore White and Sherwin Williams Extra White. But I don’t know if I should be considering others as well! I’m looking to paint my house Simply White. I’d like to paint the trim and ceilings white too, but do I go with a white-white? Or stick to Simply White? My gut was saying to use white-white, but now I’m worried the walls may look a bit dirty. The colour palette for the home is white, grey and black, with pops of colour throughout. Also, the kitchen is mostly white as well (white soho cabinets). Thank you so much! Looking for expert input! My house is light buttery yellow and I am so done with it. I want to go with white but I’m afraid that the yellow will come out. Would a white with a hint of grey under tone prevent that? I’,m very scared since I painted my basement white with a under tone of green and it look sage to me. I was not very happy with it since the accent colors are all in the blue family/turquoise. I would suggest whatever white/color you choose to use the Behr paint/primer all-in-one from Home Depot. I think it’s one of the best paints on the market and it will totally cover your yellow (even in one coat). They can color match to any Sherwin Williams or Benjamin Moore color. 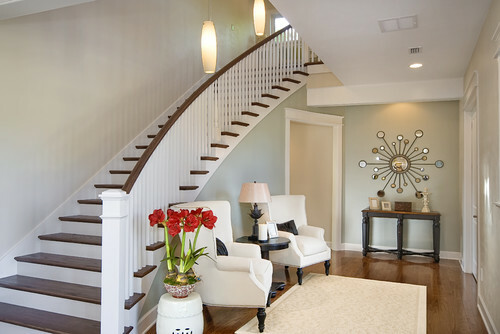 If you want a pure white with no undertones, go Decorator’s White from Benjamin Moore. I compromised in my own home and went from creamy yellows to Repose Gray from Sherwin Williams and I love it! It is so calming, fresh and clean! I wanted to go white but I know I would get bored, so I compromised. I hope that helps! Our semi-open floor plan house has naturally stained/poly-urethene covered white oak flooring throughout (including stair treads and kitchen) which leans towards an “orange” coloring now. We have pale yellow walls with white trim and are also ready for a change of wall colors. I love what I’ve seen with Repose Gray, but most pictures have darker brown wood floors. I know I could darken my floors, but that would be a whole lot of work. How good does Repose Gray work with the color my white oak floors have become? In addition, a lot of our furniture is “brown and old” as our daughter says, so does it go well with browns? I already imagine I’ll be painting some of the pieces darker shades of gray and/or black. 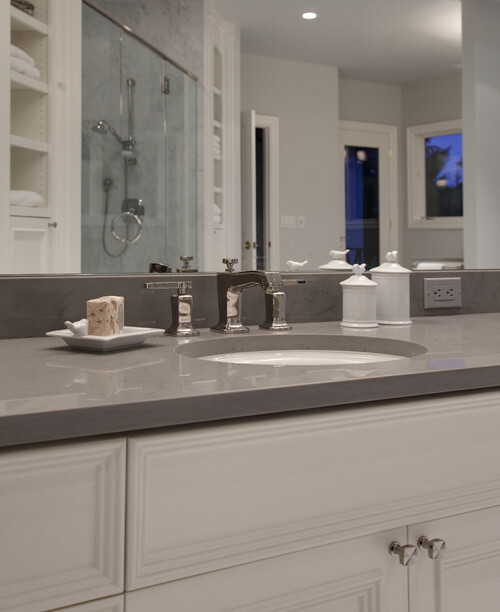 What color trim did you use with repose gray? Hi Cyndy. I had no problem finding the perfect espresso paint color for a table I’m doing….But white? Oy! I bought a sample of ‘White’ from BEHR and it has pink undertones…Totally disappointing. I want a white with no undertones or grey/green. Would you happen to know of a really good white from BEHR? I thought of trying Ultra Pure white. 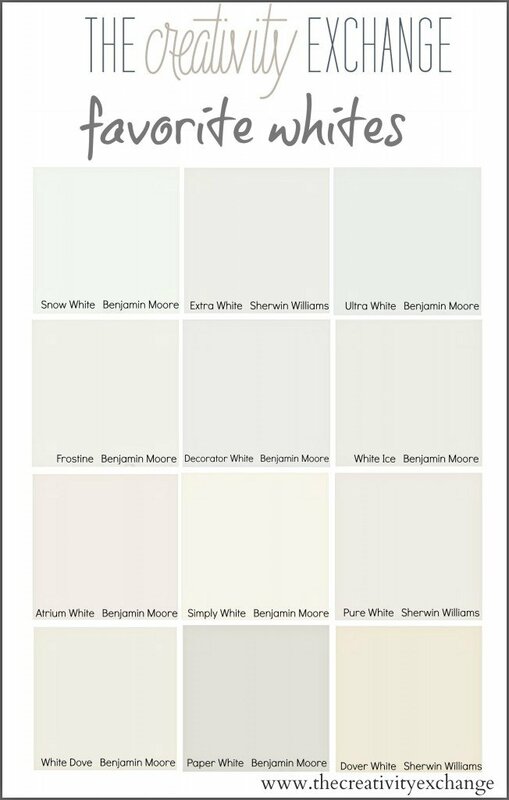 I know what I want, but I can’t seem to find it at The Home Depot..I’m on a tight budget, or I would go with a Benjamin Moore white. Thank you. Behr Ultra Pure White. No undertones just pure white. I used it in my living room and dining room. It looks clean fresh and bright. Great article! Five days too late for me but perhaps for the best! This past weekend I painted my mud room (little natural light) after much stress and turmoil of which white paint to choose. 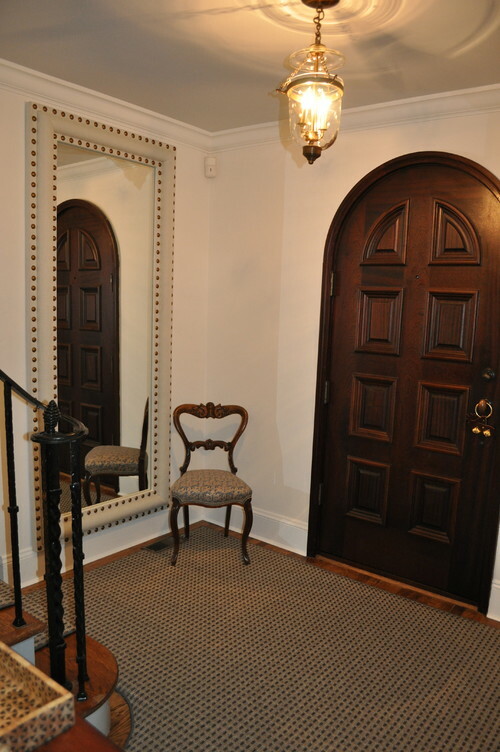 With brown “slate” tile floors and a light walnut wood trim I chose Sherman Williams Creamy. I was in a bit of a panic with the first coat, thinking it was too white, but after the second coat I’m in love with this dreamy color! What would you say the undertone of this color is considered? We love white walls… the painter recommended SW Extra White but we painted an area on the wall and it is way to bright… need sunglasses… so we went to Pure White and it looks good on the walls day and night… he is using flat paint which I prefer… hoping the color looks white and not too grey… so far the area we painted looks white day and night… is there anyone who used this color and have an opinion? This is a great article!!!!!! I love white and just went through the process of picking whites for our new house! Not an easy task and you’re absolutely right about everything you said here. I wish I had seen this BEFORE I tried out 17 paint colors on our walls….most of them white! Reading this and seeing the pictures just verified that I picked the correct white for us. Thanks for this! Need help with choosing a wall paint color to go with my Antique White cabinets, we originally choose Benjamin Moore Navajo White but it’s too yellow and is making the cabinets look very yellow. We are getting it repainted but I need help in getting a color that will tone done the yellow in the cabinets. Was thinking Decorator white? Thank you and yes that does help! The cabinets look so yellow, even though they didn’t in the showroom and the Navajo White is making it worse. I will go with the Simply White, thanks again! My house is painted using beige colors from Kwal paints (058- Bone white) I think its equivalent in sherwin williams is SW 6140 MODERATE WHITE. 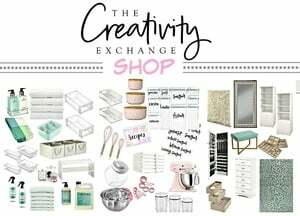 Came across your blog while researching about the white color that I could use to paint my closet. I am thinking of painting closet in Decorator White, while keeping the original trim/door colors (kwal bone white). Will this work as the bone white has cream/beige undertones? Please advice on what could be the right white color for me ? A wealth of information!!!! I want to paint museum white flat walls. Would decorators white be my best bet? Thanks! HI Cyndy, Thanks so much for this article, we needed this! We are curently trying to decide on a white cabinet paint to use with fantasy brown marble countertops with greenish grey undertones and silver sage walls in our south facing, very sunny open kitchen. We tried extra white but it’s “extra” white in our home … too white. And Frost with a gray undertone … dingy. Reading from your article seems I should be looking for a green undertone in the white cabinet color? What do you think of your example of Frostine with the materials? That isn’t too much green? Please advise. And thank you again for your color education! I want to use decorators white, but am thinking of using chantilly lace as a trim/baseboard color. Do you think these will go together? I’ve found your blog to be my go-to resource for choosing interior colors for my whole house. I’m going for a Scandanavian vibe, but I was afraid to go with Decorator’s White on both walls AND trim…so I went with Atrium White walls. Just came home from work and want to cry. It’s awful…looks yellow, which is the opposite of what I wanted. I’m going to bite the bullet and pay the painters to re-do the 2 rooms tomorrow. Do you advise against matching walls with trim? Any other whites you’d recommend for a poorly lit house that doesn’t want to be gray, yellow, or green…or pink? Thanks in advance. This is so hard, and I’m exhausted from the process. Appreciate any guidance. Thanks for the great info! We want to paint our bedroom a warm almost white. We’re looking at White Dove and Simply White. Your post does not address the specifics of White Dove. Would you mind sharing a little more? We currently have our trim painted in Behr Pure White and our ceiling is the standar Behr ceiling paint. Also, we have time in our bathroom (which will also be painted) with very strong pink and brown undertones. We do not want anything that will make our tile look more pink. Thanks! I am struggling terribly with what color to paint my millwork and doors. This article just cleared things up for me. Best and most helpful article for me, maybe ever, on Pinterest. Thank You!! I cannot believe that you are telling these poor people to pick their paint colors by choosing it online or by pictures which distort color. In fact every device will show these colors differently. The color chips are guides to narrow your choices down and then you buy paint samples to put on either the wall or boards to move around the room. Hi there! Apparently you failed to read my whole post… I’m all for constructive criticism but I am more open to it when someone actually reads the post before criticizing. 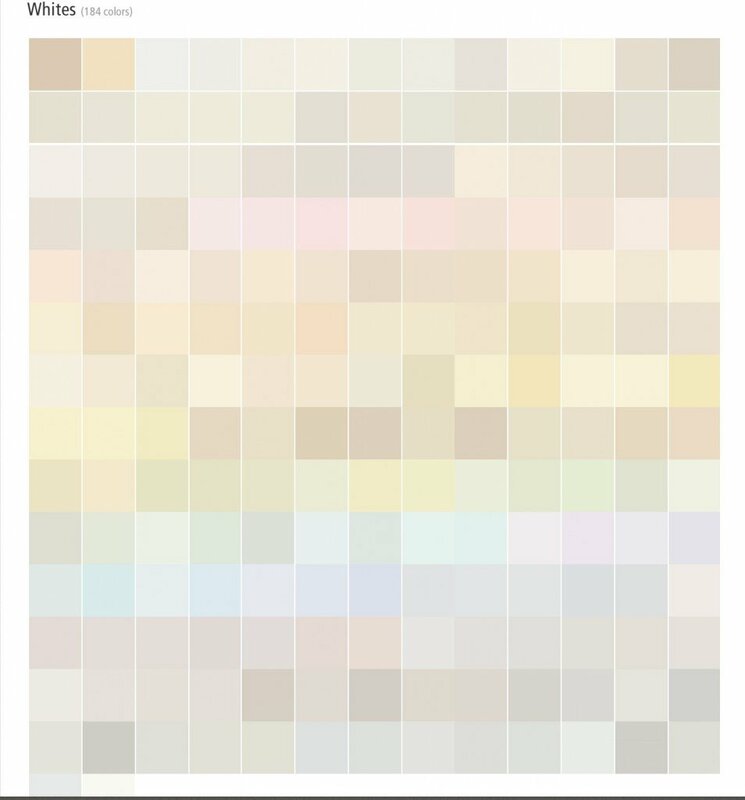 Go back and actually read the post and you will clearly see that I said that I never choose colors online but in the case of whites, I do look at whites online FIRST to spot an undertone easier and THEN I mention multiple times in the post that I sample the color on poster board.. I totally agree with you Cyndy. I had to start somewhere since I did a complete remodel. Your blog was a great education. I went with Decorators White by BM. It looks wonderful. Thank you. I did see where you said, last but not least…, regardless it is NEVER a good idea to pick a color, ANY color online. Undertones never show accurate. Being a decorator and working in paint stores helping people pick their paint colors since 2005 I know how people struggle with this and how inaccurate and misleading computers and phones can be. Please help me with a BM white/off white to pair with Cambria Ironsbridge. Cambria says White Opalesence but it’s totally wrong. Suggestions greatly appreciated. We are renovating a 1927 Tudor (our first home) and it’s time to make paint decisions. We are renovating the kitchen to be as historically accurate as possible, repurposing original victorian hinge butterfly hardware and glass knobs on shaker cabinets, etc, going with a 4×4 white tile and black bullnose backsplash much like the original. Our appliances save the stove & vent hood are white, and maybe a tall order but I’d love to find a white that I can use on both cabinets, AND all our trim (and would love to keep the same going throughout house and in bathrooms). Our cabinet fabricator works very often with Decorator White, and though I know it’s a very close match to the appliances, I think I’d like something just slightly softer/warmer (but that will still blend nicely with the white appliances). The sample of Decorator White feels very stark to me… any advice appreciated! !